Hello guys this is your captain speaking. Please sit tight and hold on cuz were going for another ride. By popular demand we will be having a Final meeting to outdue the Last meeting. Everyone (69 Rotary cars) + lots of people have requested for the 9-17-2006 meet NOT to be the final meet for the 2006 season. So this is for you guys (ya cant flake now!). 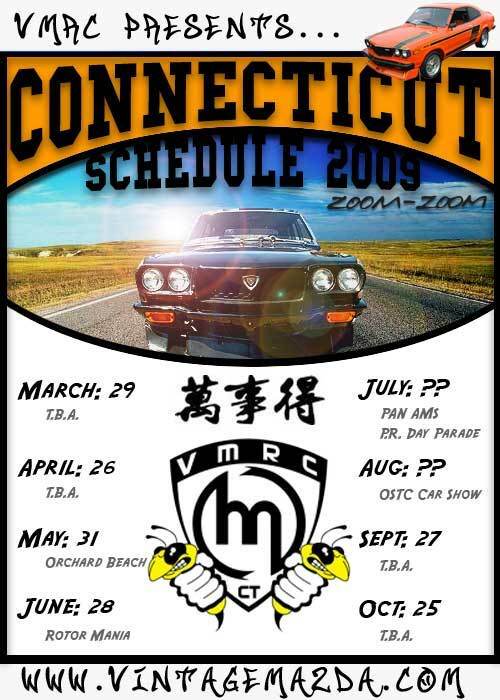 The meet shall be held in Bear Mountain State Park located 45 minutes away from NYC and a little over an hour from Albany. We picked the spot because it sits perfectly between the capital and the biggest city in NY. For those of you who live in NYC and LI do not be discouraged, its not as far as it seems, its only 45 minutes doing the speedlimit! The upstate fellows come from syracuse and albany to NYC we gotta show some rotary respect and love and hold something a lil more convenient to our bretheren. So the details are October 8th 2006 at 9:00am Sharp at Bear Mountain State Park. We will be going to Parking Lot # 2. The parking fee is $6 per car (since its a state park, but its well worth it). The parking area is to the right hand side which is conveniently located by Bathrooms, Ample picnic tables , and beautiful trees. Unlike FMP we are close to our cars and our foods which is a win win scenario. 4. Stay on PIP till it ends. You will need to pass exit 19 and continue on the 2 lane road. 5. Make a right at the Round about towards "Haverstraw" (9W South, Route 202 West). 6. Continue up the hill, bearing right at the light. As always Anil (Kaot1k) and Tommy (BklynRX7) will be bringing their grills and anyone can use them to cook their food. I am not in charge of the food list so just to be safe, Bring your own food. For those of you who have attended our previous meets, everyone contributes what they can and therefore can share in everyones food. A. Garden State Parkway NORTH. C. Look for Signs for the Palisades Interstate Parkway going NORTH. 1. 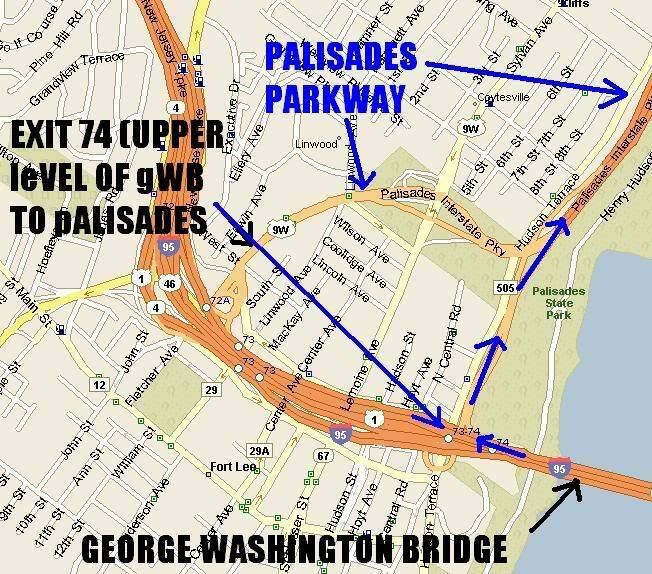 Take George Washington Bridge (Upper Level) to New Jersey. 2. 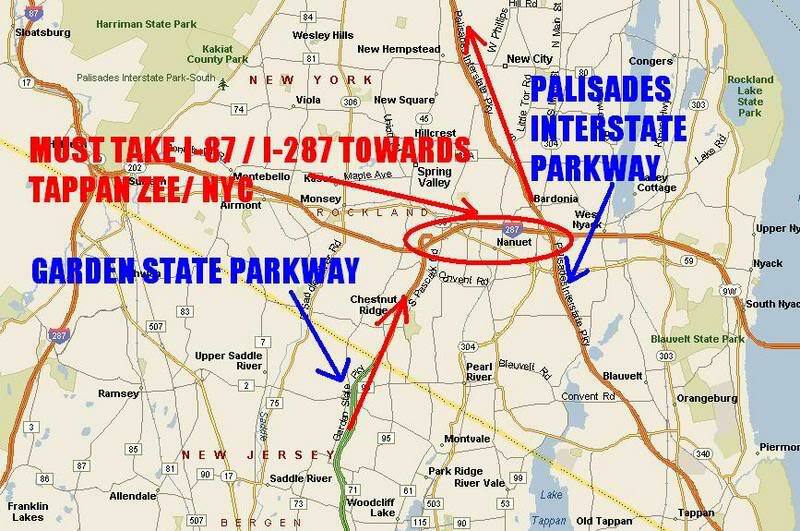 Right Turn at Exit 74 towards Palisades Parkway. 3. Bear Right at the end of the Palisades Interstate Parkway till you reach the end where the Round About is located. (Note: you will need to pass exit 19). 4. At the round about, stay to the right towards "Haverstraw" (9W South, Route 202 West). 5. Continue up the hill, bearing right at the light. YO NJSTreet, you wont be able to meet us at the scenic area beacuse your going to pass it so NJ ppl just meet us at the PARK!!!!!!!!!!!!!!!!!!!!!!!!!!!!!!!!!!!!!!!!!!!!!! !!!!!!!!!!! I wont be of any help to NJ ppl because im not from Jerzee! Here are some pics to help you guys visual the location. 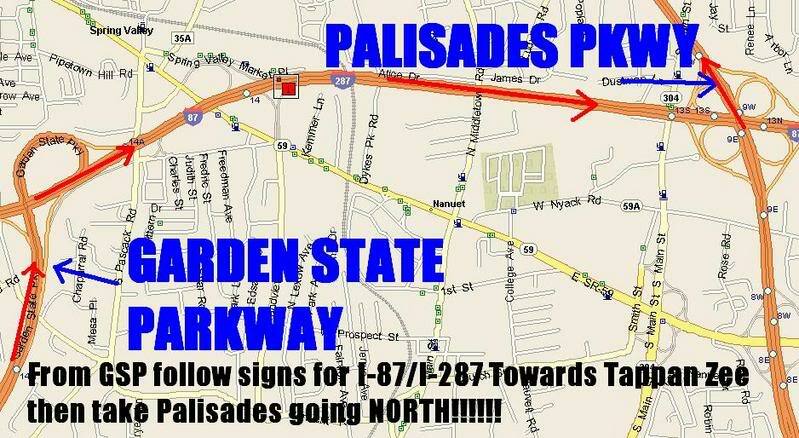 Close up of GSP to 87/287 to Palisades (very important dont get lost)!